Two new snacks arrived in this week’s Graze box, including one from the bread selection. 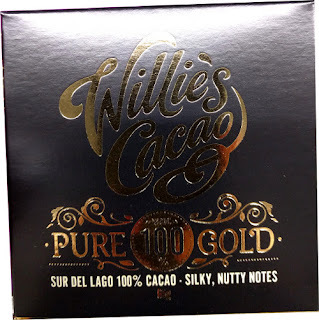 Previous favourites included the delicious ‘Chilli and Lime Pistachios’ reviewed in week 4 and ‘Peking Dynasty’ a mix of cashews, baked soy bites and black beans, also reviewed in week 4. Taking a quick glance at the calories of each snack, I can see the whole box overall is one of the lowest calorie selections I’ve had so far. The highest is the Chilli & Lime Pistachios with 189 calories. This week the two new surprise snacks were ‘Poached Pear’ and my first foray into the Graze bread selection with a ‘Tandoori Rustic Marble Bread’. The first thing I always do when I receive a Graze box is to scan through the little nutrition booklet that comes with each delivery. Here I can check the dates which tell me when each snack should be eaten by. Most of the snacks keep for 4 weeks or so. But some, like the Olives or Flapjacks, have to be eaten a bit sooner. This was the case with the Tandoori Marble Bread which had a two day shelf life. I couldn’t wait to tuck in. I didn’t know what form the bread would arrive, thinking maybe it would come in a separate wrapper. However, there it was, perfectly portioned and packed into a regular sized punnet. Tandoori Rustic Marble Bread has a similar appearance and texture to an Italian Focaccia type of bread. 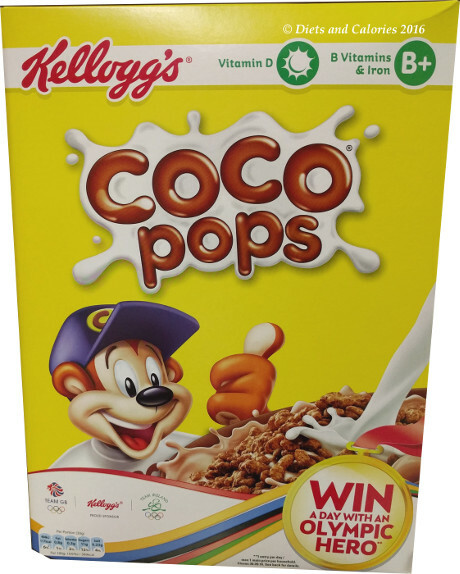 According to the nutrition booklet, this is a limited edition. 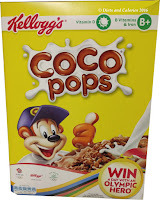 Ingredients include wholemeal and white flour, tandoori paste, garam masala and coriander among others. It’s made by twisting the ingredients together during kneading to give it a knobbly texture. This makes its perfect for tearing off small pieces to nibble on. I adore Tandoori chicken, but wasn’t entirely sure a tandoori flavoured bread would work. But it was delicious. 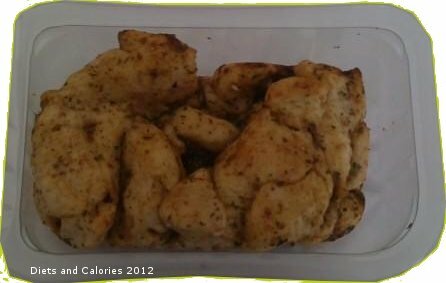 The bread was soft and doughy with the tandoori spices running through all the nooks and crannies. It’s not enough for a meal, but would go well with soup or a chicken salad. I nibbled on it mid morning and found it quite filling. I can’t wait to try some of the other breads including Graze’s two Mediterranean Inspired recipes. My rating for Tandoori Rustic Marble Bread is a very positive LOVE. Calories for the punnet: 117. 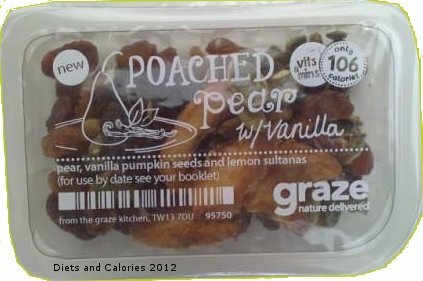 Poached Pear is one of the lower calorie Graze snacks consisting of a mix of dried pear, sultanas, vanilla pumpkin seeds and lemon infused sultanas. This snack had a 4 week shelf life but it certainly didn’t last that long. I’m not that crazy about dried fruit like apples, mango and such like, and the pear, while good quality I’m sure, wasn’t really my thing. But the other ingredients more than made up for that. Again, ordinary sultanas aren’t something I’d purposely buy as a snack. But Graze manage to infuse their sultanas with lovely flavours to give them a whole new taste. 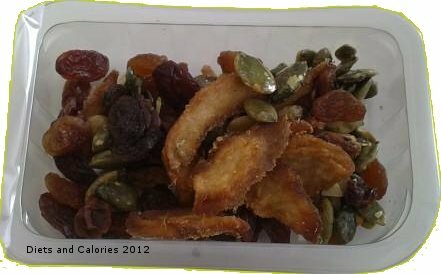 These lemon infused sultanas are truly tasty and I've enjoyed them in other Graze nibble snacks. What really stood out in the selection for me were the vanilla pumpkin seeds. I love pumpkin seeds, toasted or not. But these were covered with some sort of sticky coating which I think consisted of honey and vanilla. These are fantastic. Very sweet and crunchy and I could easily have eaten more of them. However, I’m giving Poached Pear a rating of LIKE purely because I wasn’t that keen on the pear, otherwise it wold have been a LOVE. Calories for the punnet: 106. 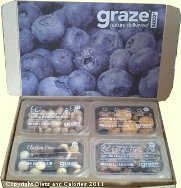 If you’d like to try out a Graze snack box for yourself, you can order one completely free using this code: 9HZTPXFD. All you need to do is log onto Graze, enter your details, choose your type of Graze box and the snacks you'd like, then enter the special code (9HZTPXFD) for your free box. You’re not committed to an ongoing delivery. In fact, if you don’t want any more, you can stop further deliveries as soon as you like. But from my experiences, I’m sure you’ll be as wowed by Graze as I was and many thousands of others. This post provides an outline to how the Graze system works. You can read more Graze reviews here. * Note the photo at the top of the page is from week 4 showing Peking Dynasty and Chilli & Lime Pisachios. This week's somehow got lost!